This book is based on the best-published research and standards of clinical practice and risk management approaches for professional health care providers and emergency services personnel….The violence inflicted by violent persons often occurs during behavioral emergencies when the potentially violent person is a patient or a client in need of medical or psychiatric care….The tasks in each behavioral emergency are twofold: (1) to provide the necessary medical or psychiatric care and (2) to do so in a way that reduces the risk of harm from the potentially violent person for all concerned. 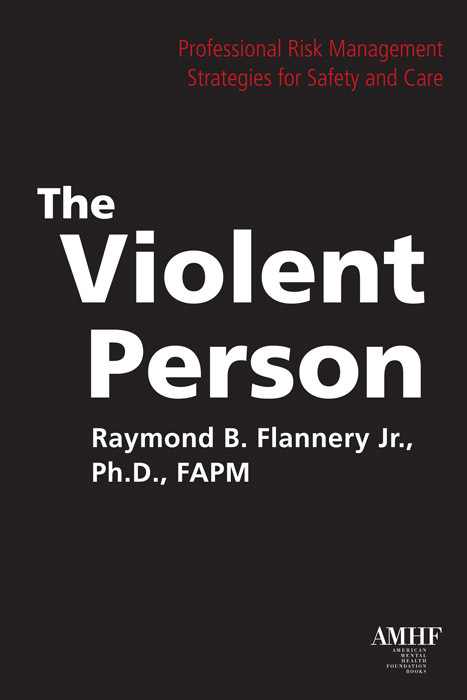 Dr. Raymond B. Flannery Jr. is a licensed clinical psychologist; Associate Clinical Professor of Psychology, Department of Psychiatry, Harvard Medical School; and Adjunct Assistant Professor of Psychiatry, The University of Massachusetts Medical School. He is the author of 7 books. In 2005, Dr. Flannery received a lifetime achievement award for excellence in crisis intervention research from The International Incident Stress Foundation.